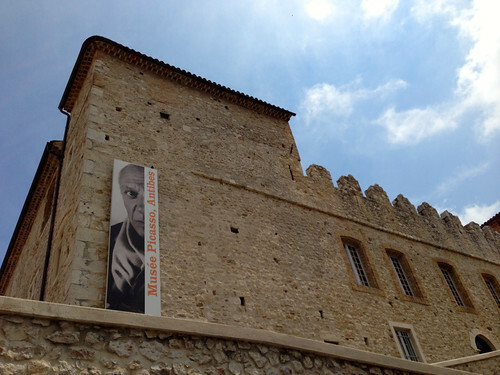 A trip to the Picasso Museum in Antibes, to see the art where it was created. Picasso actually lived and worked in the Chateau Grimaldi (which later became the Picasso Museum) in 1946 and he and his family subsequently the donated many of the works there. 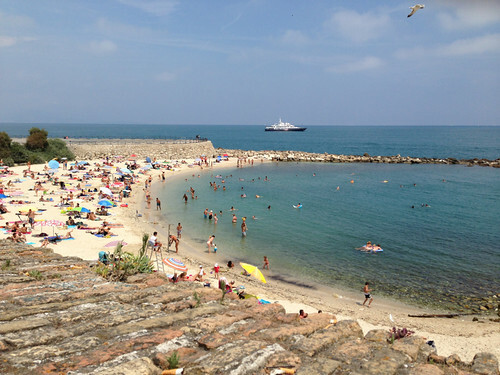 The beach in Antibes, which thankfully has tiny stones instead of giant ones like the beaches in Nice. 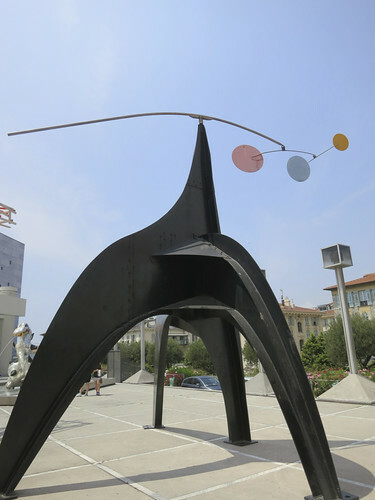 A Calder at the Museum of Modern and Contemporary Art in Nice. I have to say, it was more contemporary than modern, and mostly just not my thing. I forgive Nice this museum, since they have so many others that I loved! The anti-hovel. 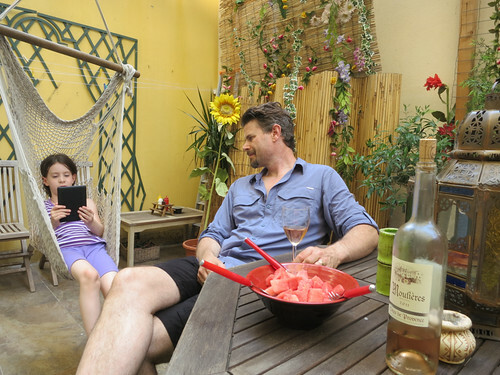 After four nights in a tiny, boiling, mosquito-infested hovel, I found this place on Airbnb for our last 2 nights. After 2 nights there, I've almost stopped twitching. 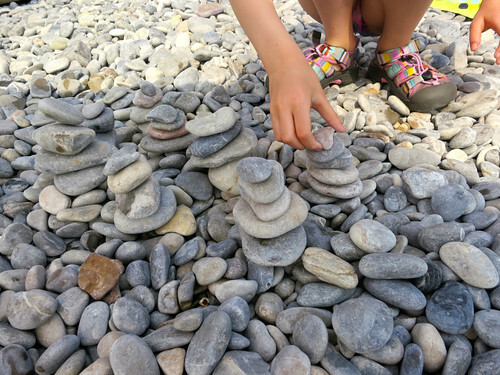 What you do when you can't build a sand castle. 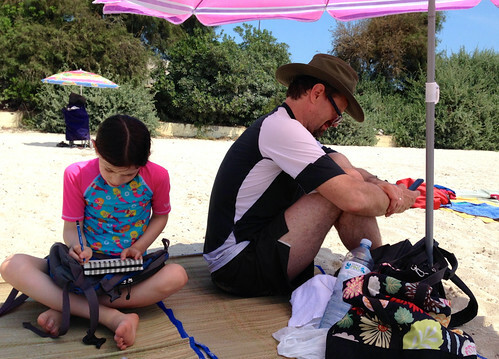 We were really surprised to discover that the beaches in Nice have no sand. Instead they have giant, foot-bruising, ankle-twisting stones. Fortunately for us, we all had Tevas, so we just walked right across the stones and into the Sea. 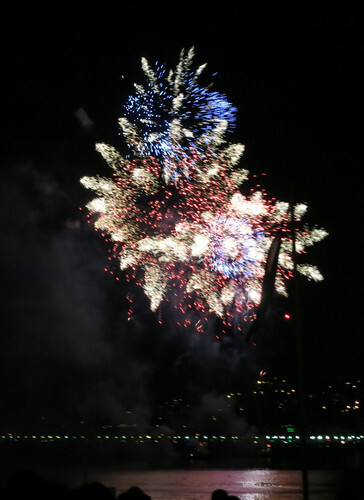 Our last night in Nice was Bastille Day, so at 10pm we headed to the beach for the big show. It was Anna's first time seeing fireworks. They didn't disappoint. I'm glad that you are capturing this for those of us left back in the states. Keep up the good work!